In simple words Java is programming language which is widely used for developing desktop applications, web application, mobile games, etc. Java is not only programming language it is platform to run java programs with the help of Java libraries and APIs. 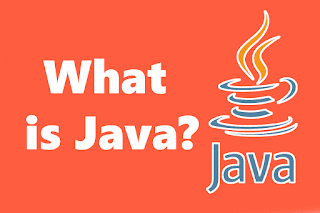 Java was developed by James Gosling, Mike Sheridan, and Patrick Naughton in 1991 at Sun Microsystems, Inc. and released Java 1.0 publicly in 1995. Java initially known as “Oak” then renamed as Java. It was originally designed for digital devices like remotes, televisions, VCRs, microwave ovens etc. Java follows “Write Once, Run Anywhere” principle. Prior to Java, C and C++ are very popular but there are some problems like Portability, Security to overcome these problems java was developed and not to replace C++. Although Java is now popular computer programming language but C++ is also used today in many applications. Java is platform independent programming language because java code can be run on various types of platforms like Windows, Linux, Mac OS,etc. Java programs are compiled into a bytecode and not into direct executable code. Bytecode is nothing but set of instruction which is only execute on Java run-time system also called as Java Virtual Machine (JVM). In simple words Java Virtual Machine is interpreter to execute bytecode. This whole process is one type security layer. Java is simple to learn if we know the basic concept of Object Oriented programming language. We can devlope software which perform various operations because of java’s Robustness feature. Java introduced exception handling function which helps to handle errors and to build working softwares. Multithreaded means to do many thing at the same time and this feature java implemented to creating interactive programs.